As one of the largest colleges on the University of Southern California campus, the Dornsife College has around 700 active faculty members. Storing their records, as well as the records of all previous faculty members, took up a lot of space. 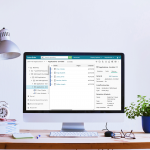 Here is how Laserfiche enabled the college to overhaul the management of faculty records. 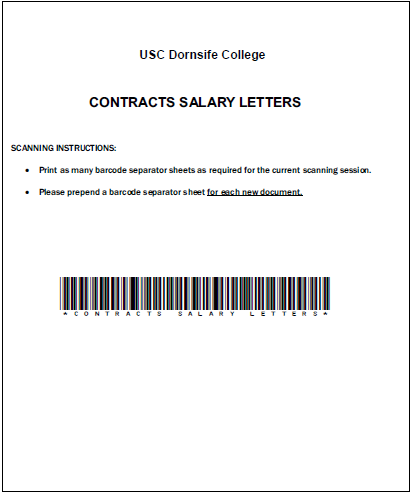 Barcode coversheets are attached to new faculty documents such as contracts, appointments or promotion notices as soon as they arrive at the office. The documents are then scanned into Laserfiche with Laserfiche Quick Fields. 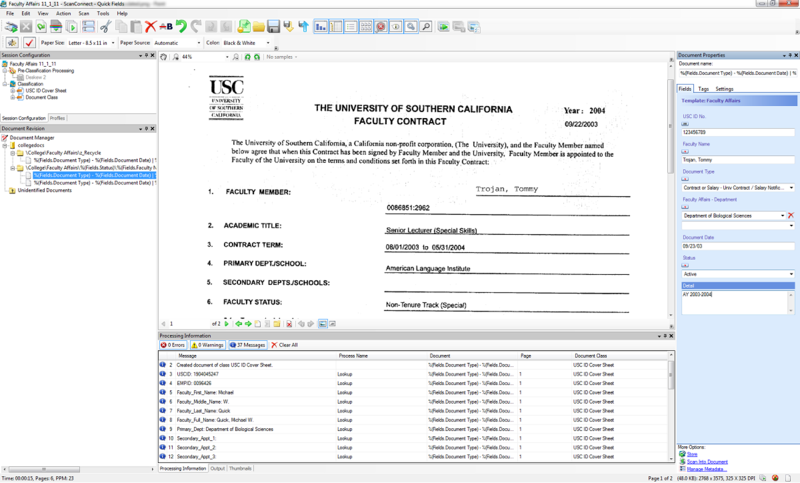 Laserfiche Quick Fields extracts information from the barcode to identify the document type. For salary or contract documents, Laserfiche Quick Fields also does a lookup into the payroll database to populate some of the fields. 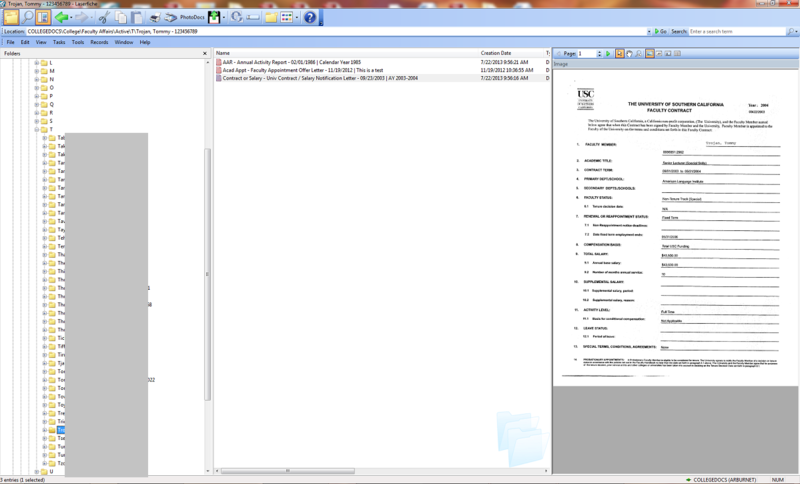 Below is a screenshot of the full Laserfiche Quick Fields session configuration. Pending: faculty members who have accepted an offer of employment and have a future start date. Active: faculty members currently employed at Dornsife. Inactive: faculty members who are no longer employed at Dornsife, are deceased or have declined an employment offer with the college. 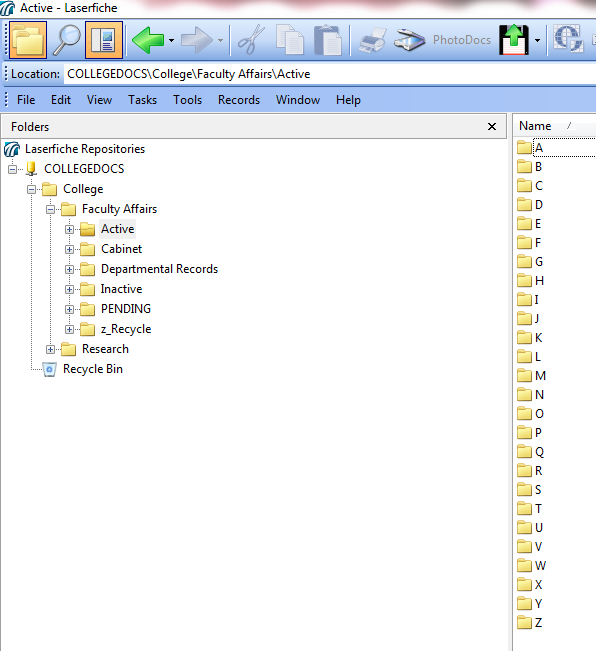 The Laserfiche repository has a folder corresponding to each of the faculty types. 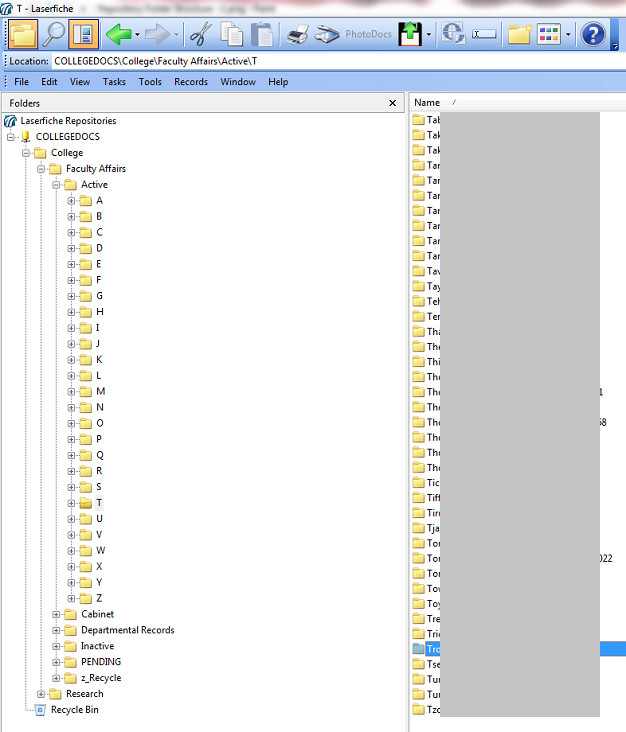 Within each folder, there is a different folder corresponding to each faculty member. These folders follow a standard naming convention of: last name, first name, 10-digit USC ID Number. Laserfiche security is set up by group. Each Laserfiche user belongs to a different group and has access to only those records that the whole group can access. Security tags are used to make sure that individual, proprietary documents are only viewed by authorized individuals, even though the rest of the documents in that folder can be viewed by others. Each employee can configure and save a different column profile to meet his or her individual needs. 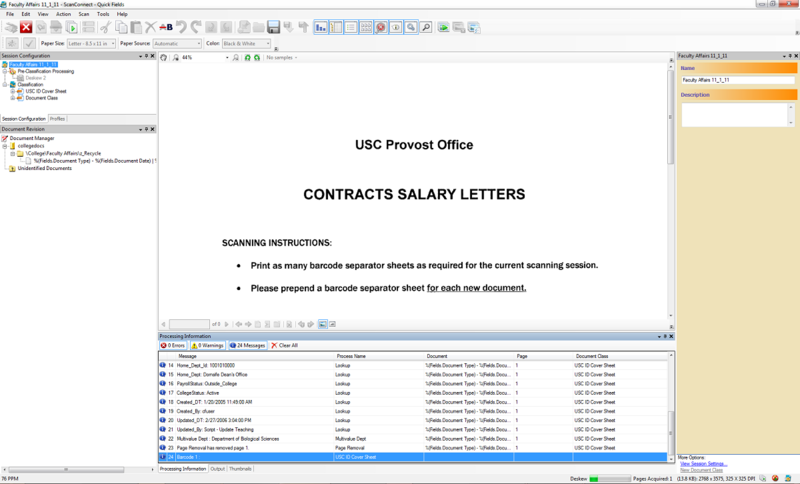 For example, an employee in Payroll can display columns with salary information while an employee in Faculty Affairs can set columns that contain information about the employee’s job description. The preview pane in the folder browser can be customized so that the document’s image can be viewed without the document having to be opened first. Managing faculty records with Laserfiche has resulted in the following benefits for Dornsife College and the university as a whole. Employees from other departments can access faculty records instantly without having to ask someone at the faculty affairs office to retrieve them. Information about faculty is easy to find. Recently the college was contacted by a publication looking to write an article about a former professor who is now deceased. The faculty affairs office was able to provide information about the professor’s tenure at Dornsife College right over the phone. Faculty information is completely secure since only authorized individuals have access to faculty files.